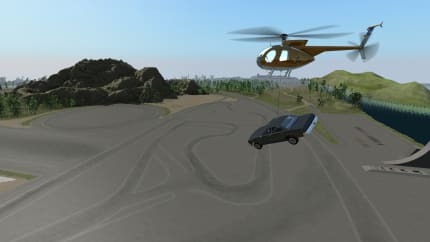 Rigs of Rods is a free/libre soft-body physics simulator mainly targeted at simulating vehicle physics. The soft-body physics system is based on mass-spring-damper theory. Important: the package ships with only minimal content, more content can be downloaded from [the official repository](http://forum.rigsofrods.org/resources/).